Citizenship for 1972 Burundian Refugees! 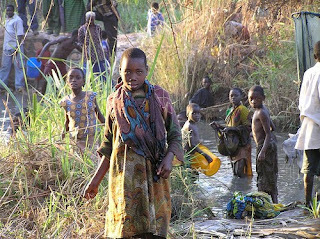 As far back as 1972, many Burundians - men, women and children, fled their homes in Burundi to seek refuge in neighboring Tanzania. The refugees were fleeing from a civil war marked by ethnic mass-killings, that left an estimated 200,000 people dead. Upon arrival in Tanzania, they were settled in three settlements in western Tanzania - Katumba, Nishamo and Ulyankulu. Tens of thousands of refugees - dubbed "1972 Burundian refugees", have inhabited these settlements since 1972. On April 15, 2010, Tanzania's Home Affairs Minister announced that the government of Tanzania have naturalized and granted citizenship to 162,000 "1972 Burundian refugees". This is a landmark decision and a milestone in the global effort to protect refugees! 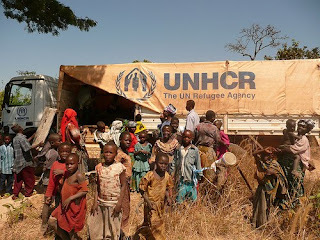 According to the UN Refugee Agency, Tanzania is the first country to naturalise, in a single move, such a large number of refugees protected by the agency. The United Nations High Commissioner for Refugees - António Guterres welcomed the decision and expressed "deep gratitude and appreciation" to the government of Tanzania. He called on other nations with refugee populations to make a move in the same direction. No individual should permanently bear a refugee status! The naturalization process of the "1972 Burundi refugees" started in 2008 (36 years after the refugees left their homeland) and comes in the wake of moves by the Tanzanian and Burundian governments to shut down the three refugee settlements of Katumba, Nishamo and Ulyankulu, and provide the long-standing refugees with opportunities of becoming Tanzanian citizens or returning to Burundi to take part in the "reconstruction of the country". It is worth mentioning that about 53,600 Burundian refugees in Tanzania decided to return to Burundi, while the majority (80%) would like to remain in Tanzania. This is understood because many of the refugees were born and raised in Tanzania. Consequently, many have little or no ties to Burundi. The new citizens of Tanzania will now live among the general population and enjoy the full rights of citizenship. The government of Tanzania has a firm commitment to integrate the new citizens into mainstream society. According to IRIN - a project of the UN Office for the Coordination of Humanitarian Affairs, Tanzania hosts about 110,000 refugees from Burundi and 96,000 refugees from the D.R. Congo, in UNHCR camps. Help Human Rights Watch Win Webby Award! A Battle Against Justice in Russia! A day frozen in time! The Zoo has an African?